As an avid user of ride-sharing services like Uber and Lyft, I enjoy conversing with drivers. These independent business owners are using their time, talent, and personal vehicles to transport passengers in a way that's often cheaper, cleaner, and more efficient than traditional taxi cabs. When time allows, I like to hear about their experiences and discuss their strategies for outsmarting other ride-share drivers. Sometimes they learn that I'm a chiropractor, so we begin talking about the aches and pains associated with frequent driving. They often tell me that before signing up to partner with Uber or Lyft, they didn't realize how sitting for long periods of time in a car would affect their body. It's tempting to think that the driver's seat in a vehicle is "better" than the chairs we use at a desk or table. Even though both involve sitting, these activities are actually quite different. While using a steering wheel, think about the position of your arms and hands. They're placed higher than they would be if you were sitting at a desk. This increases the demand on muscles and joints within your arm, shoulder, and upper back. To brake and accelerate, you have to flex and extend your foot and ankle. Depending on the driver's height, they may have to stretch their leg further than they would while sitting at a desk. If their car is a sporty stick-shift model, they have to use their left foot on the clutch, while the right arm/hand operates the gear shift. Work desk chairs have it easy. They remain level all day... but seats inside cars, trucks, and SUVs experience vibrations from the road. Drivers get jarred while traveling over bumpy/uneven street surfaces. One would hope there's enough head room to prevent hitting the roof of the vehicle when this happens... Otherwise headaches could be in your future. And let's not forget how the body sways while taking turns or driving around corners. These repetitive forces impact the body quite differently than sitting at a conventional desk all day. By the end of these conversations, I've heard all about their tight shoulders, traffic-induced tension or stress. And then there's the foot cramps, low back pain, and neck stiffness. The tireless and devoted hours spent behind the wheel can lead to what's known as "Repetitive driving injuries" for rideshare workers. Fortunately, these driving-related issues benefit from chiropractic care. One of the tools I use to help Uber and Lyft drivers is the Theragun G2 Pro. This revolutionary form of vibration therapy can quickly reduce the tension associated with days/weeks worth of driving. 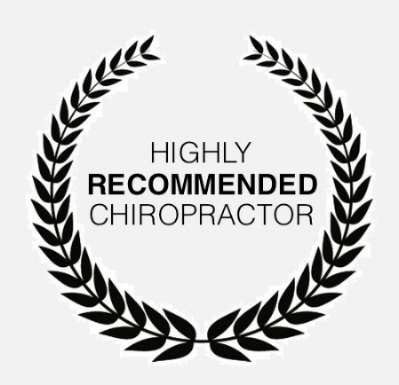 Unsurprisingly, it has quickly become one of the most popular treatments offered at Chiropractic Saint Louis, and we'd love to show it to you. If you're an Uber or Lyft driver in the St. Louis area, please let us know, because you may be entitled to a complimentary session with the TheraGun. Click here to view our hours and location, or schedule an appointment.